For months, Microsoft watchers had pegged Ford Motor Co CEO Alan Mulally as the odds-on bet to succeed Steve Ballmer as chief executive at Microsoft. But Mulally formally pulled out of the running earlier this week, saying he would remain at Ford through 2014. After Ford Motor Co CEO Alan Mulally took himself off the list of potential CEOs at Microsoft, the world's largest software maker, speculation over the company's succession plans refocused on internal choices. A source close to the company said no appointment was likely until the last week of January or in February. The source asked not be identified because they were not authorised to speak publicly about the process to select a successor to long-time CEO Steve Ballmer, who in August announced his plan to retire. In late January, many Microsoft executives will be focused on the company's earnings, which are scheduled to be released on January 23. Also, chairman Bill Gates, a key member of the search committee, will be at the World Economic Forum in Davos. For months, Microsoft watchers had pegged Mulally as the odds-on bet to succeed Ballmer as chief executive at the dominant producer of software for desktops and laptops, which has faltered in making the transition to the fast-growing mobile phone and tablet markets. But Mulally formally pulled out of the running on Tuesday, telling the Associated Press he would remain at Ford through 2014. 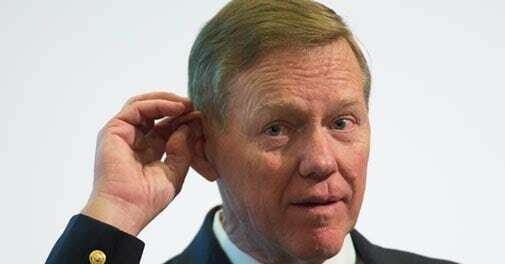 It was unclear whether Mulally's withdrawal from consideration was his decision or Microsoft's. While the company's intentions remained a guessing game, internal candidates now seemed the obvious ones, especially in light of comments by Microsoft about the importance of tech know-how for the top job. Mulally appeared to be the front runner in the latter part of last year and seemed to be interested in the job, but Microsoft never made him an offer, suggesting that the prevailing mood on the company's board was that he was not right for the job, two sources familiar with the process said. The sources also said Microsoft is down to a "handful" of candidates, including insiders Satya Nadella, executive vice president of the Cloud & Enterprise group and Tony Bates, executive vice president of Business Development and Evangelism. Former Nokia CEO Stephen Elop, a Microsoft veteran before moving to Nokia, whose mobile phone business Microsoft bought last year, has also been cited as a top candidate, as have one or more outsiders from the tech industry. As a former Microsoft executive who will soon rejoin the company when the takeover is complete, Elop was mentioned as now "front and center" of the CEO race in a research note from FBR analyst Daniel Ives, who cited his "previous Microsoft experience and demonstrable expertise in the mobile space." Evercore analyst Kirk Materne saw it differently, naming Nadella and Bates as the leading internal candidates who "could potentially institute organizational change at a more rapid pace given their insider status." Microsoft shares, which have gained 36 per cent over the past year, were down 1.2 per cent, while Ford shares gained about the same amount. 'DARK HORSE' IN THE RUNNING? Nomura's Rick Sherlund labeled Mulally's withdrawal as "disappointing" in a research note, echoing the sentiment of some other investors and analysts. Sherlund said it was unclear who the board would turn to, saying he viewed Bates and Nadella as capable, but "more likely to take direction from Microsoft's board rather than redirect the board and take the company in a different direction as we prefer." If the company does opt to go with an outsider, candidates could include Facebook Inc Chief Operator Officer Sheryl Sandberg, VMware Inc CEO Pat Gelsinger and Pivotal CEO Paul Maritz, Ives said. Sherlund agreed that Microsoft could still look at a "dark horse" outsider but noted that some tech sector candidates, including Maritz, may have already declined to take the job. In a blog post on the company's website in December, Microsoft lead independent director John Thompson emphasised the need for a CEO with good tech bona fides and "an ability to lead a highly technical organization and work with top technical talent." Thompson, who leads the four-member CEO search committee, said at the time he expected the panel to reach a decision "in the early part of 2014."